My aim, through developing ‘Gridiron Strong’, is to educate American Footballers in acute injury care, rehabilitation and supplementary strength training to enhance both individual and team performance, and reduce the risk of injury. I created Gridiron Strong because of my passion for American Football and my want to grow the sport in Great Britain. As a Sports Injury Specialist I love helping others and felt that there was a lack of support in this country for what can be an injury prone sport. I want to use Gridiron Strong as a way of educating players in strength and conditioning, rehabilitation and injury care, through making the ever changing sports science research accessible to the American Football community. Gridiron Strong is for anyone wishing to dominate on the field. Whether you’re a youth athlete, play flag football or senior football the information I provide is for you. You don’t have to be an expert in lifting (infact you might be a totally newbie) but I’ll take you through the steps to help ensure you get the most out of your sport. I have worked within the sport of American Football for 5 years and am surrounded by it each day as my partner is both a fan and linebacker. From the start of my work in the sport I have been welcomed by players and staff, and have fostered a sporting family. I have seen a great many injuries and been asked a lot of common questions by players, which I feel could best be addressed through this website. I take inspiration from a range of sources such as: the desire to grow the sport in Great Britain; the need for education over here in conditioning and injury care; watching the NFL athletes in the states; the passion of the teams and coaches I have worked with; the great intellect of team personnel to create such a wonderful game and Bennett Omalu fighting for the health rights of NFL players re concussion. 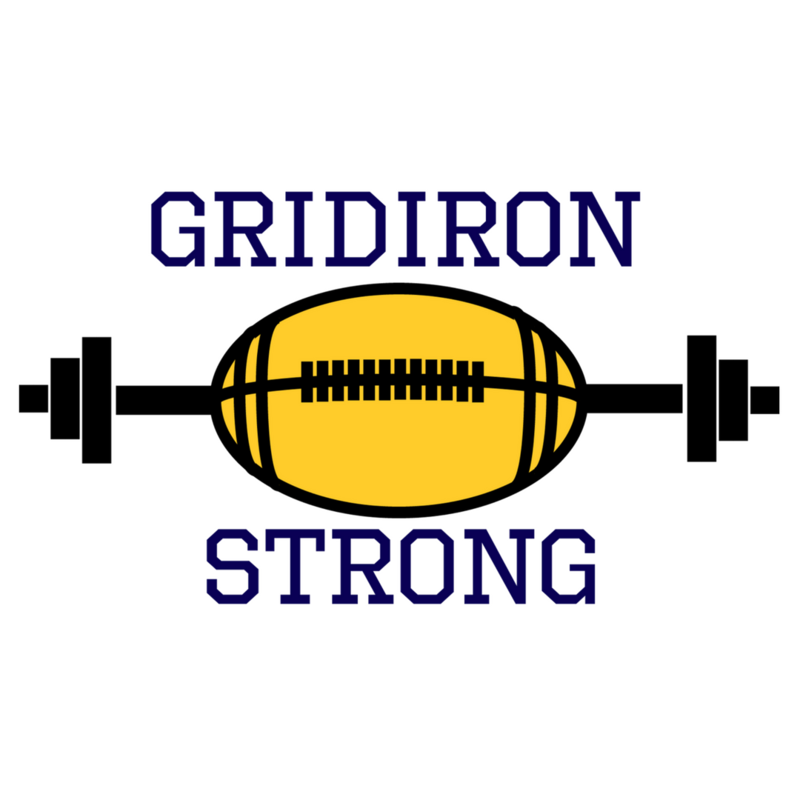 Gridiron Strong is a forward-thinking, constantly developing educational site, providing unique and caring support to American Footballers of all levels. First and foremost, this website is for you, to develop your skills to get the most out of your sport. I hope you find the information on this website useful to your own performance! I would greatly appreciate hearing from you with suggestions as to what help and information can be included on this website. Your feedback is of great value.